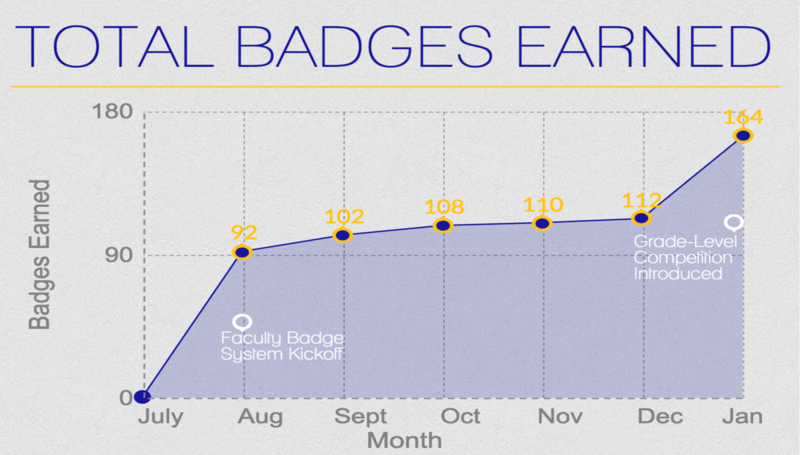 Badging interest exploded with the faculty program’s initial launch in August. After months of plateauing, another spike occurred when we measured progress in December and January through a series of infographics and charts. We teased prizes, but as of yet, we have not even specified what those prizes might be. Therefore, it isn’t clear whether the hope of winning prizes has any impact. The scoreboard, and the accountability that comes with it, seems to be the driving force behind this second surge in badges earned. Perhaps accountability coupled with time of year?